Christmas has arrived early in Globe Town. 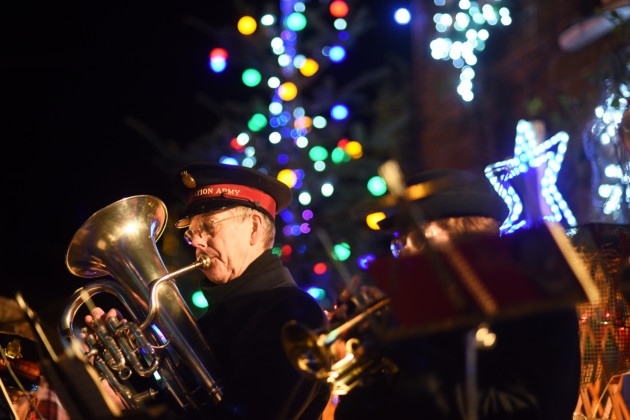 On Saturday 2nd December, Globe Town Market Square will be transformed for a day of Music on the Square. 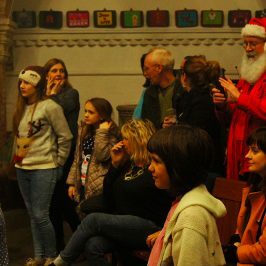 There will be sweets for children, carols to jig along to and delicious treats to get you in the seasonal spirit. 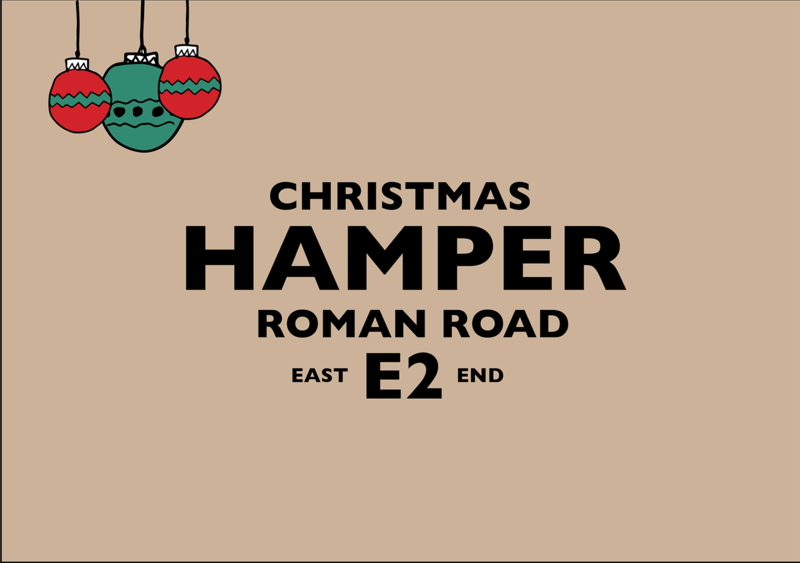 Not to mention the opportunity to speak to one of our elves to enter the prize draw to win the Roman Road E2 Christmas Hamper. 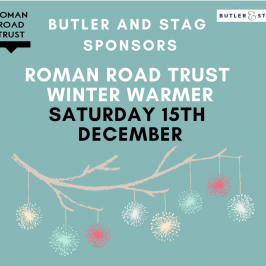 Roman Road Trust stall featuring the Roman Road E2 Christmas Hamper worth an incredible £400. 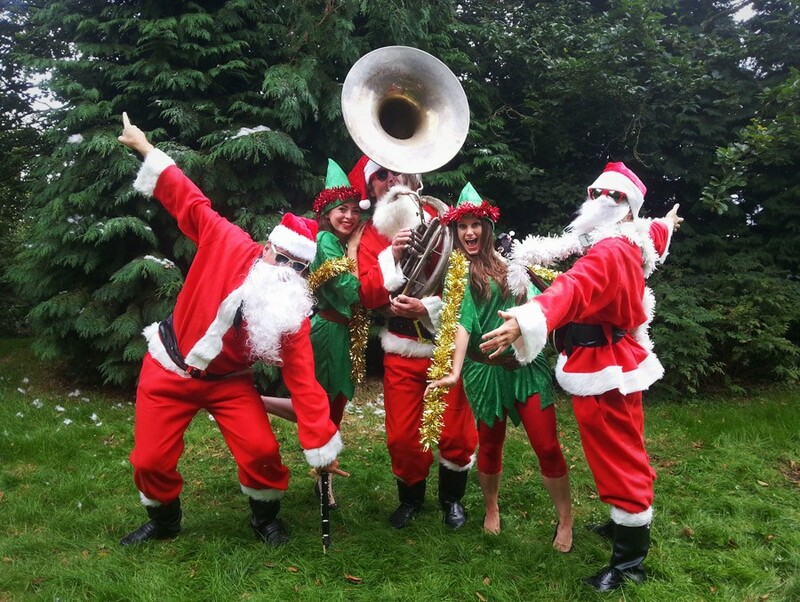 With tastes, tunes and real-life elves, bring the whole family to get Christmas going in Globe Town. Join us from 9.45am on Saturday 2nd December. 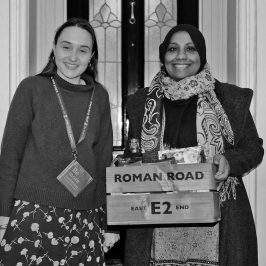 Roman Road Trust is launching the Roman Road E2 Hamper with a Christmas Hamper showcasing the finest goods in Globe Town. 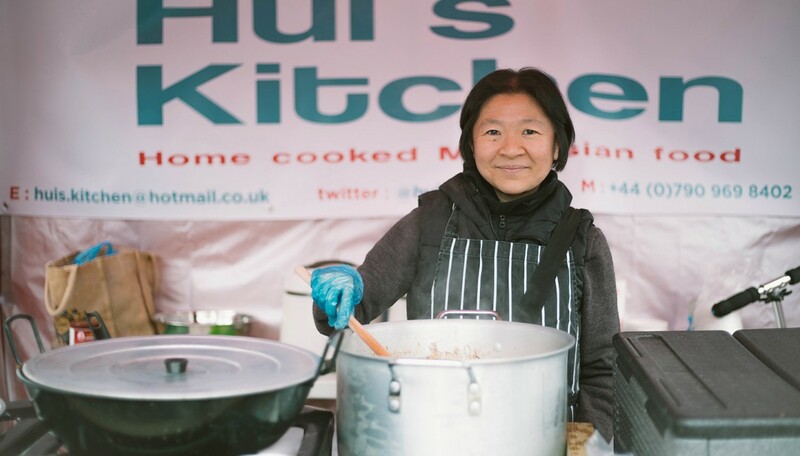 Sixteen local shops and traders have contributed and the hamper is worth an eye-watering £400. One lucky local is going to have a bumper Christmas! The winner will be revealed on Monday 18th December and the hamper will be delivered by our elves just in time for Christmas. 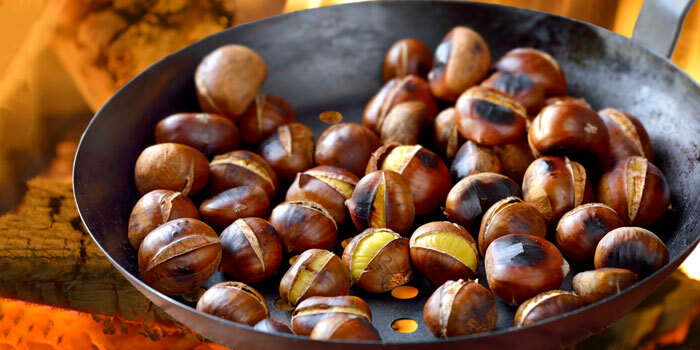 It’s free to enter the draw – all you need to do is to sign up to our festive hamper mailing list here. 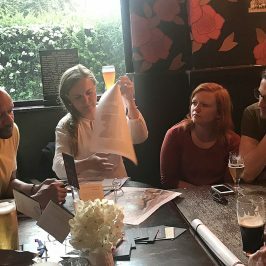 Finally, selected shops in Globe Town will be decorated with stunning laser-cut decorations featuring unique elements of each business, as part of a partnership between Make Good and Roman Road Trust. We will be ‘tweeting the street’ to showcase the shops. 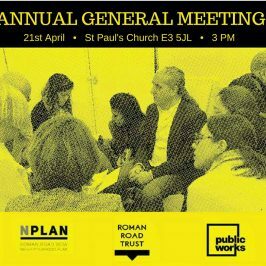 Follow Roman Road Trust on Facebook and Twitter to keep up with the trail. 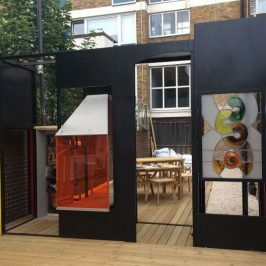 Music on the Square is funded by London Borough of Tower Hamlets, working in partnership with Roman Road Trust to improve local governance and support the delivery of regeneration initiatives in the Globe Town area of Roman Road West.